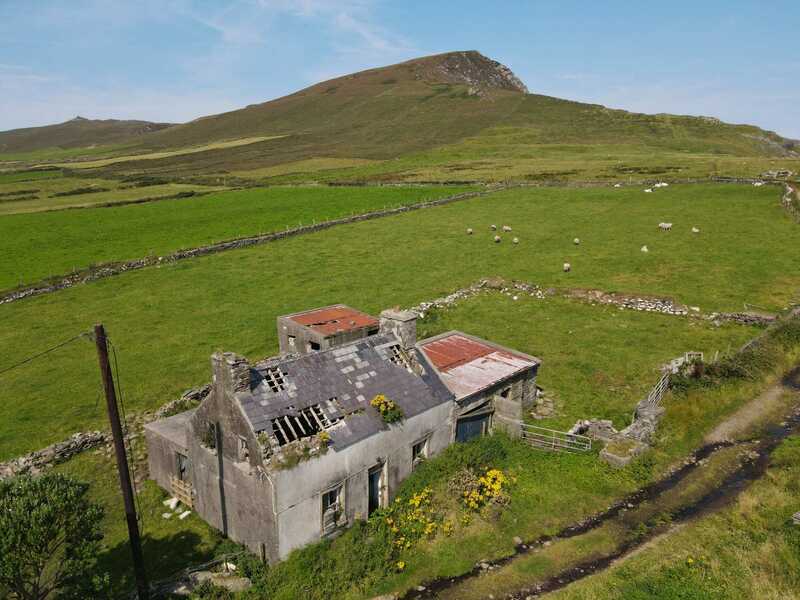 Excellent views of Mount Brandon, Smerwick Harbour & surrounding area. Detached cottage situated in a scenic location with excellent views of the Brandon Mountains, Smerwick Harbour & Surrounding Countryside. 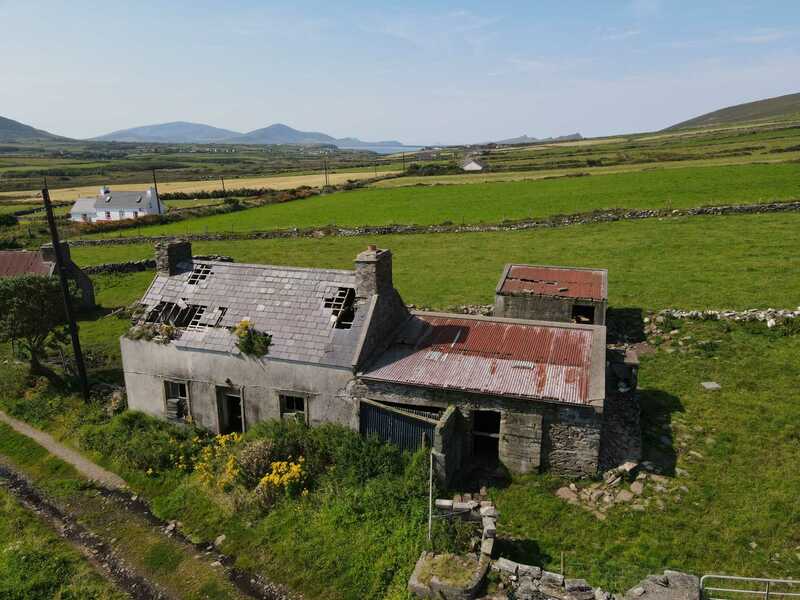 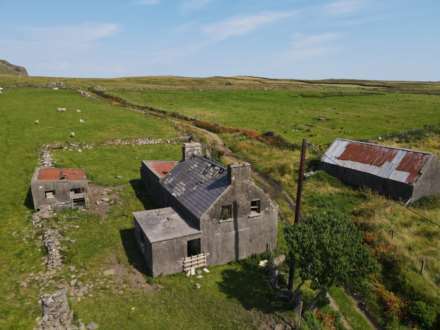 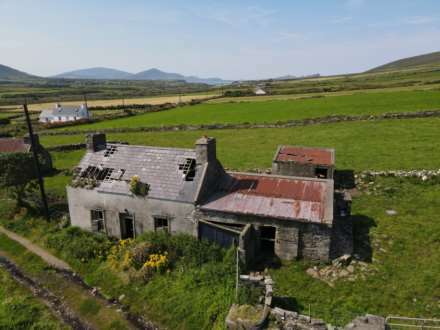 The property which is in need of total renovation is located in a private and peaceful location and is situated approximately 9 miles from Dingle Town and approx. 3 miles from Ballydavid Village just off the road from Brandon creek to Feoghnach. Passing the primary school and community hall at Feoghnach, take a right turn directly opposite An Cúinne Pub; continue on over the bridge until you reach a T junction; take a right turn at this junction and continue for approximately 1 mile. 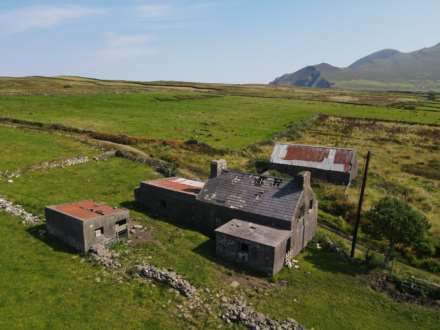 Take a left turn and the property is up this rough track a short distance on the left hand side.